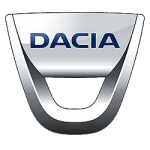 Dacia is a relatively new brand of car in UK, but they are a firm favourite for their drivers. Leasing a Dacia means you will get a lot of car for your money. At Little Green Car we've got some great Dacia lease deals. From the Duster to the Logan, our Dacia Lease offers make driving a new car that much more affordable. Check out our Dacia leases here.